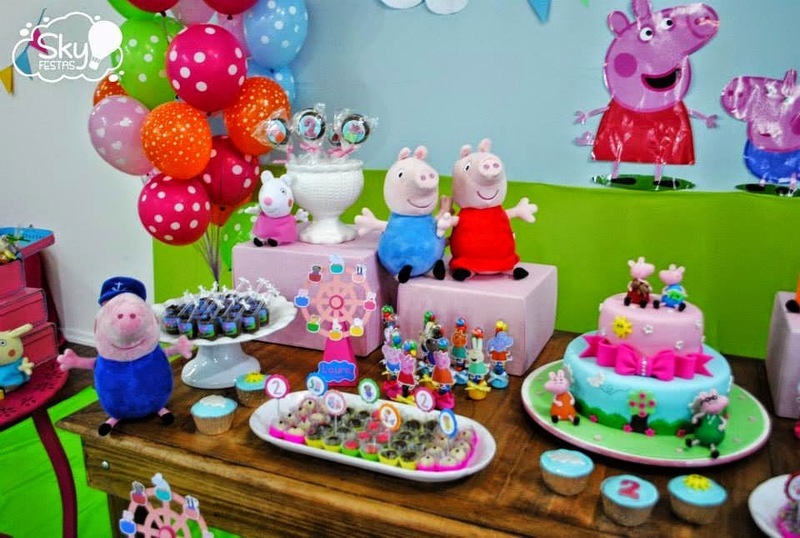 Are you planning a Peppa Pig Party? 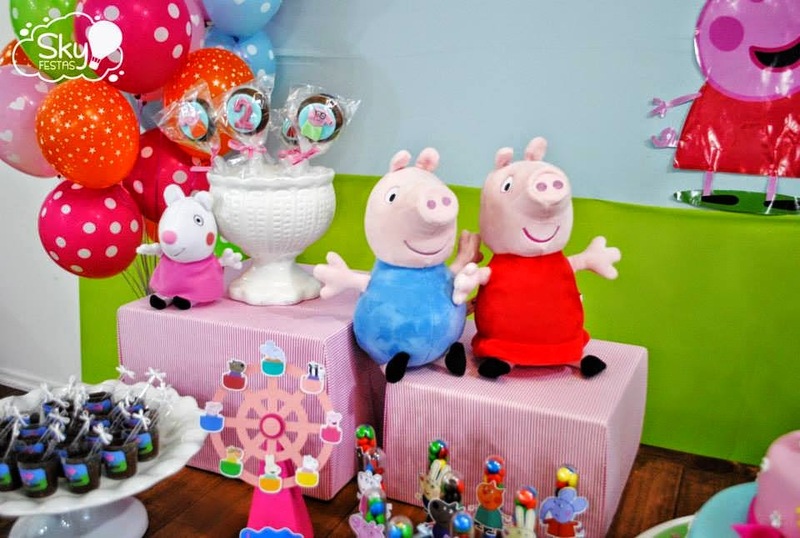 This Peppa Pig Pinata is a must have, complete with a mixture of candy to fill. 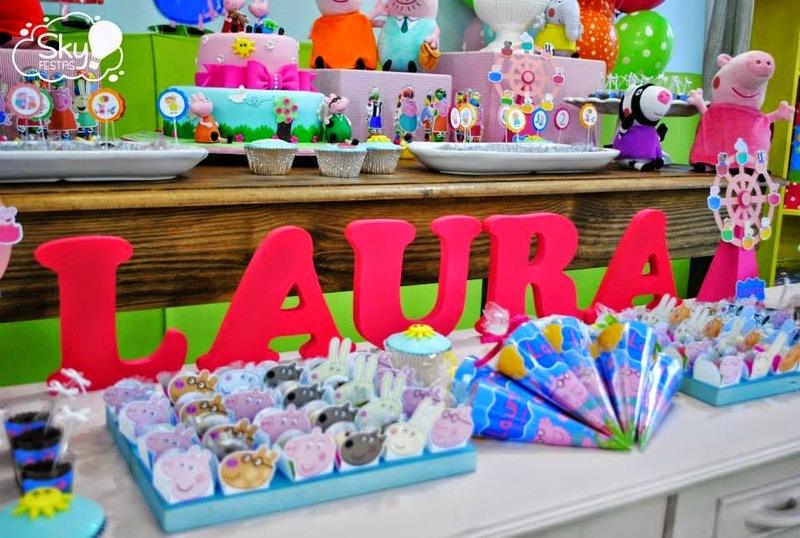 I love the idea of ordering the both together as its one less stress to worry about having to buy the candy separately before your party begins. 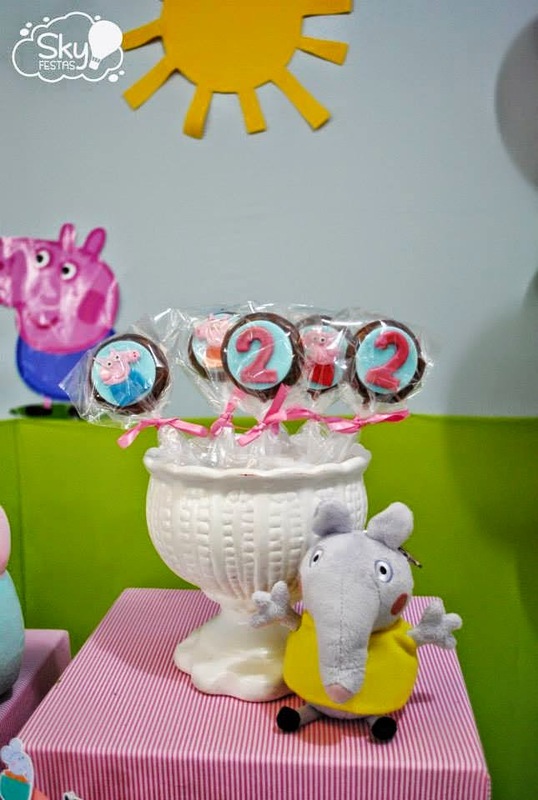 Peppa Pig Shortbread Cookies are perfect to display on your dessert table and also a very sweet take home gift for birthday guests. 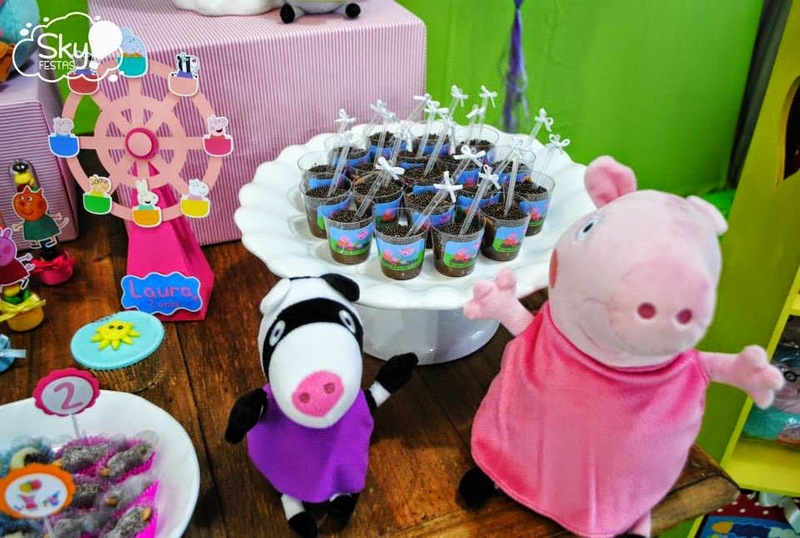 The Peppa Pig Ultimate Party Kit already includes majority of your party must haves even including candles and cutlery! 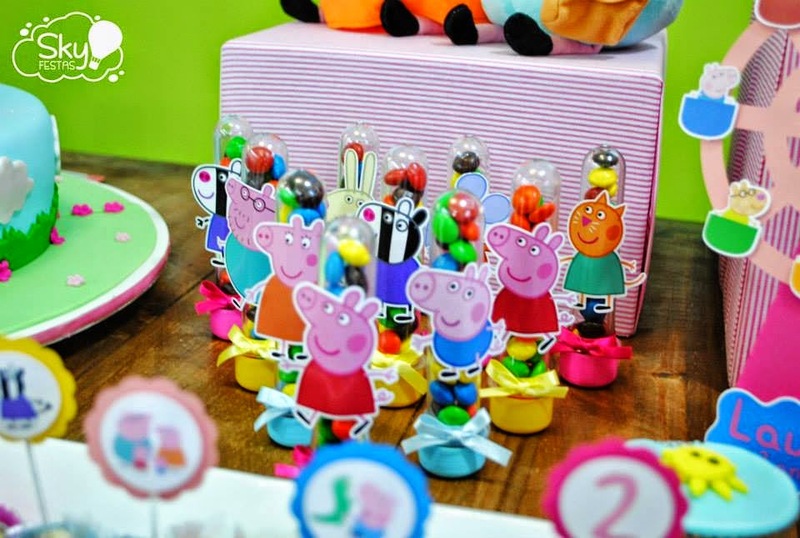 How cute is this Peppa Pig Deluxe Favor Kit, perfect for a take home gift or even to open at your party to keep all of your little guests amused. 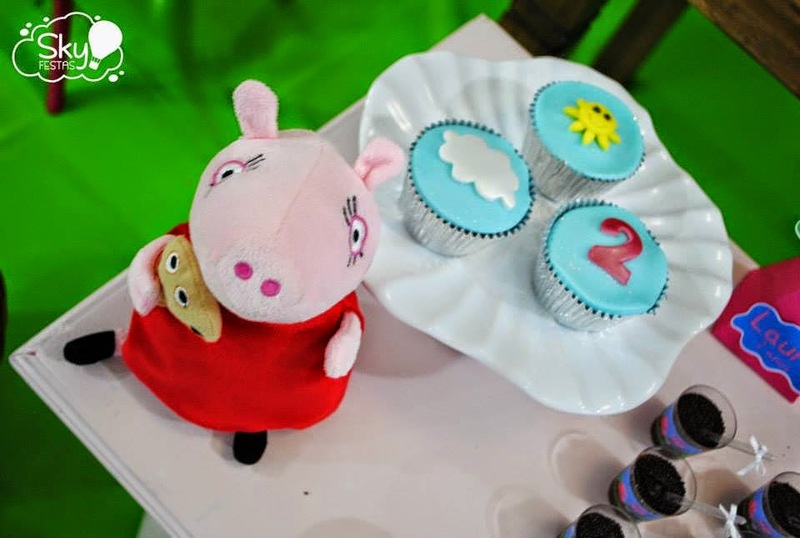 I especially love the Pig shaped straw! 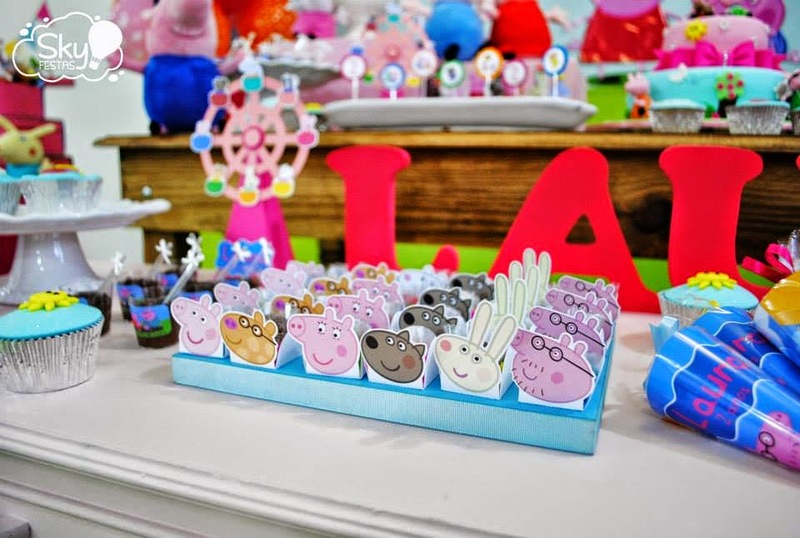 If you plan on having a candy buffet, these super cute Peppa Pig Favor Container’s will definitely be a must have! 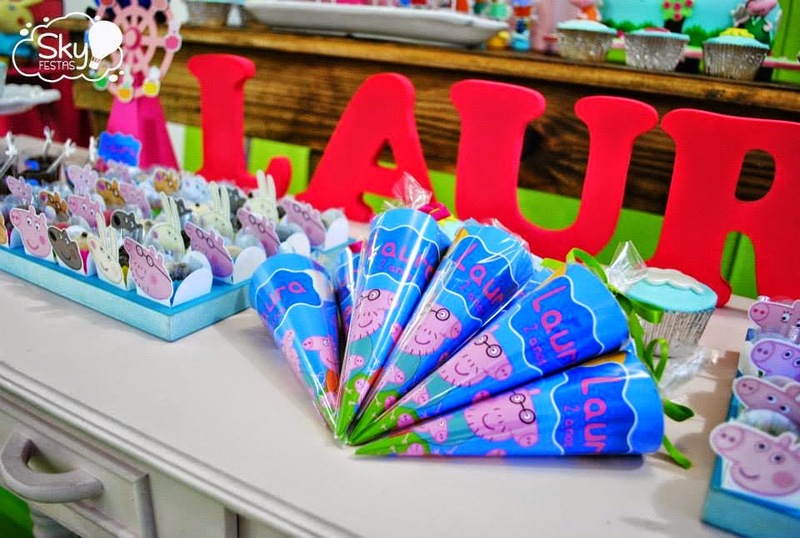 Rainbow Umbrellas to add a bit of colour! 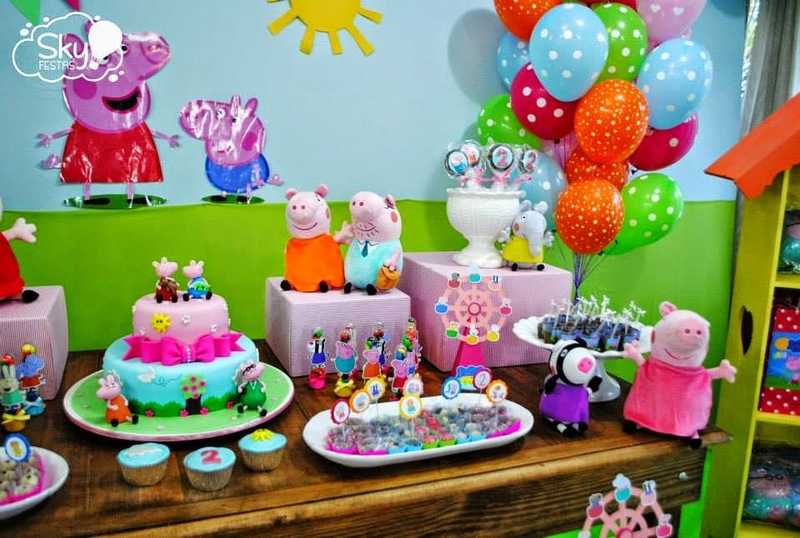 A beautiful warm, sunny and playful PEPPA PIG PARTY. 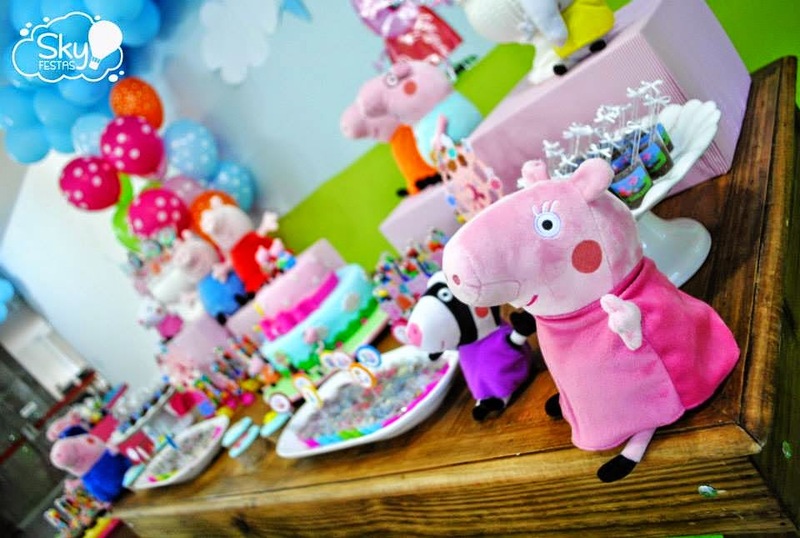 I love the simple and fun fabric backdrop with a Peppa Pig landscape and the Peppa Pig cake in front of it sets the scene beautifully. 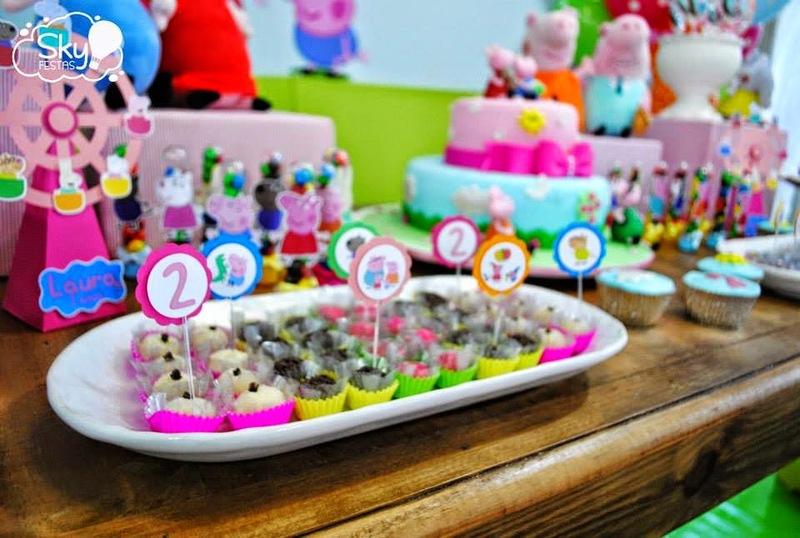 There are so many fun and cute details to this party such as the Peppa Pig cookies, Peppa Pig cupcakes, cupcake favors, cake pops in Gumboot displays and mini ovens. 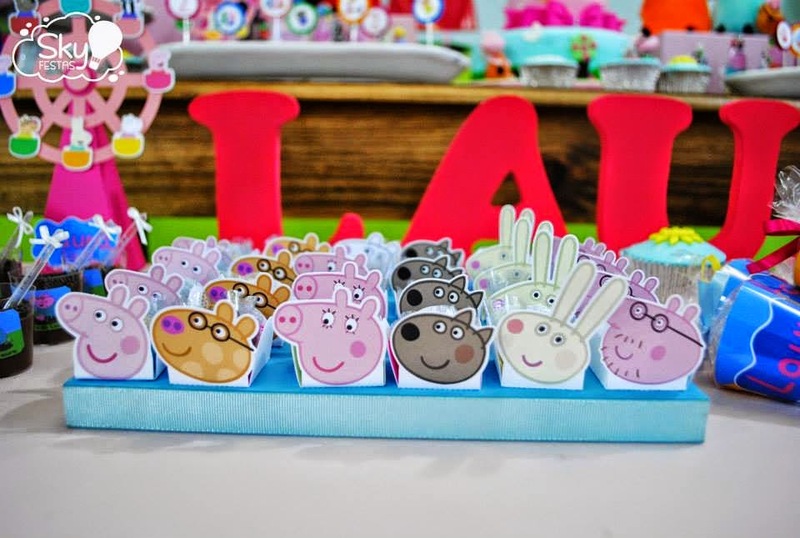 This gorgeous PINK & PURPLE PEPPA PIG PARTY is styled and designed by PAPER SPARKLES DESIGN. 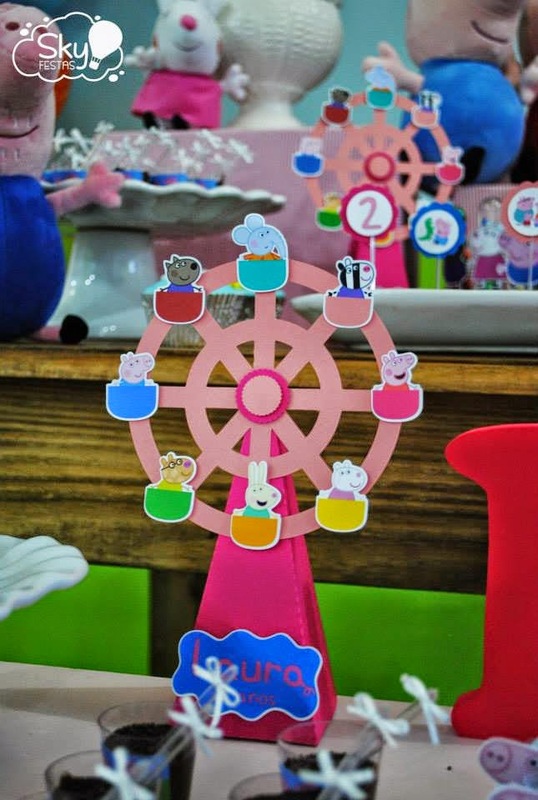 It includes the most beautiful range of PEPPA PIG PARTY PRINTABLES. 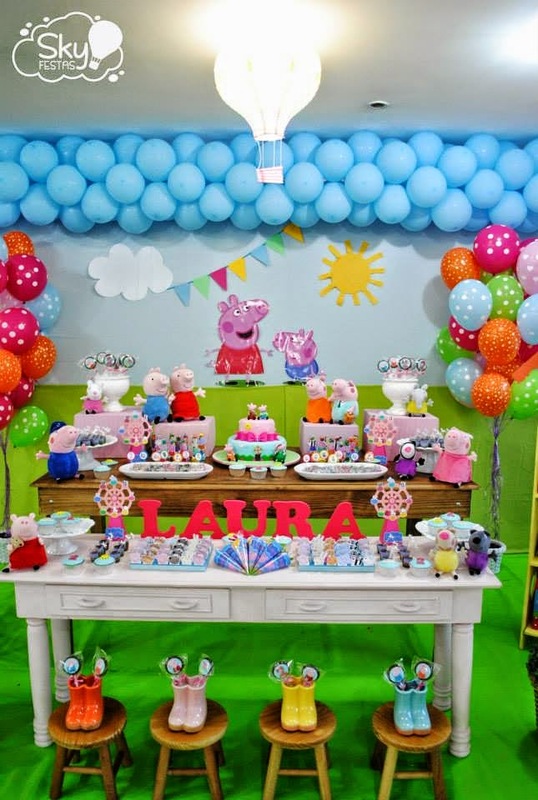 The party backdrop is a stand out including a beautiful colour selection of hanging paper ribbon, floral shaped balloons and a personalised PEPPA PIG PARTY BUNTING. 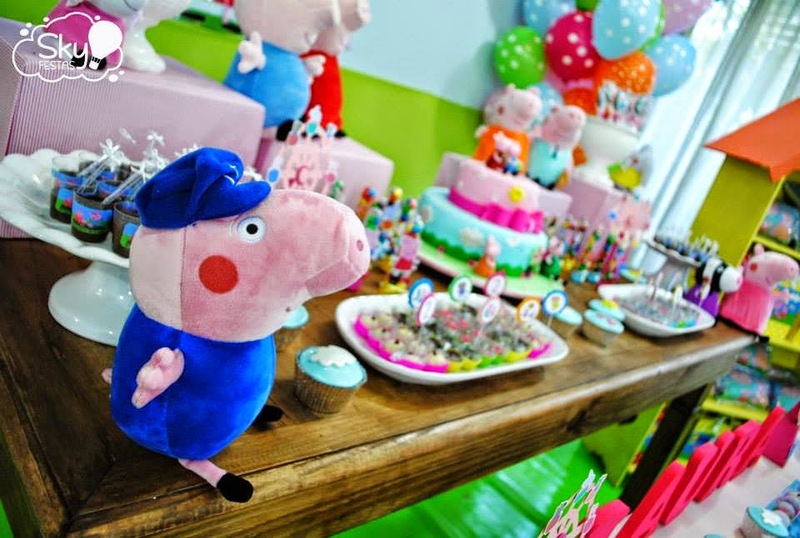 The purple table cover and tassels as well as the PEPPA PIG BIRTHDAY CAKE are also striking! 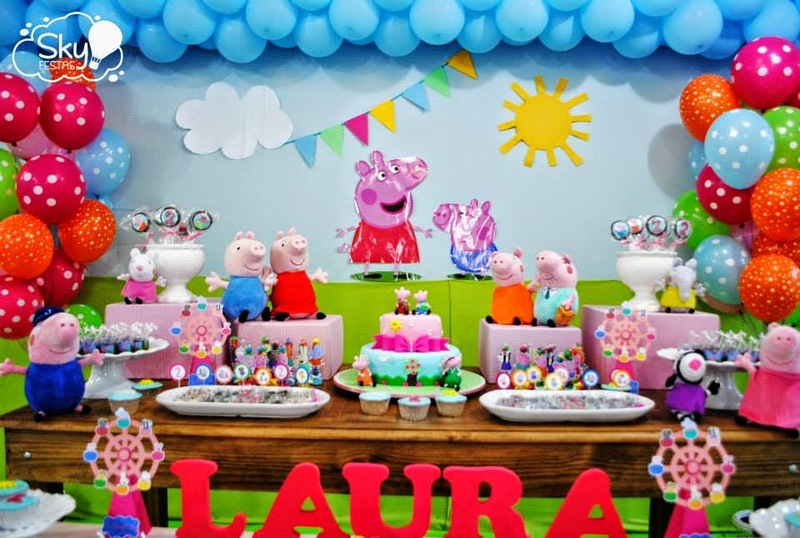 ♥ Peppa Pig Party Bunting ♥ Peppa Pig chocolate wrappers ♥ Peppa Pig straws ♥ Peppa Pig cupcake toppers ♥ Peppa Pig drink labels and more! 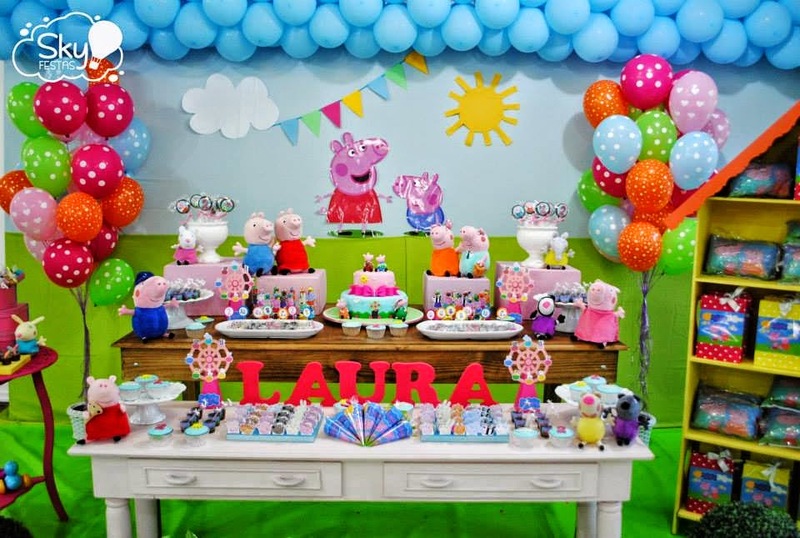 A very fun and playful Peppa Pig Party by Caraminholando – Atelier de Festas Brazil. 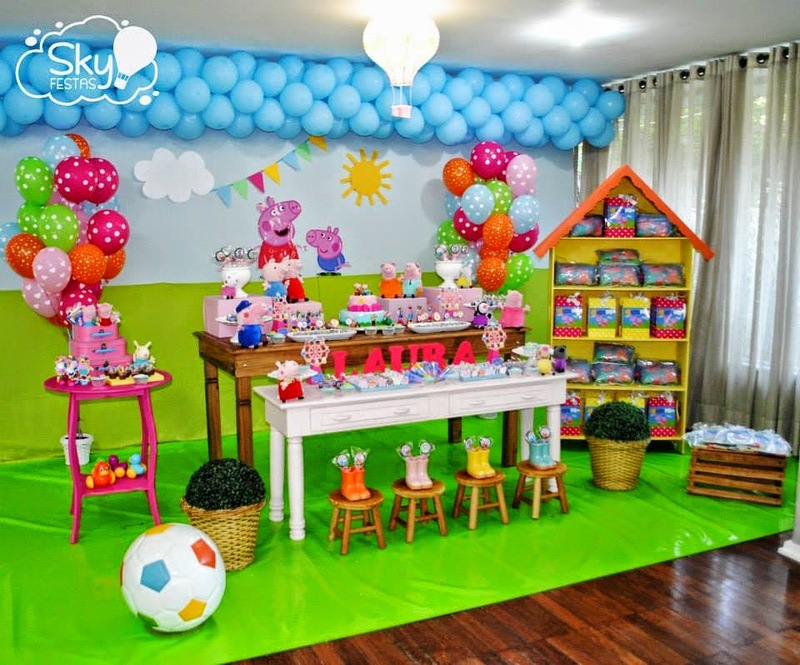 Such a sweet backdrop with the clouds, sun and trees made of fabric with a delicious arrangement of Peppa Pig Party themed sweets and desserts on the table. 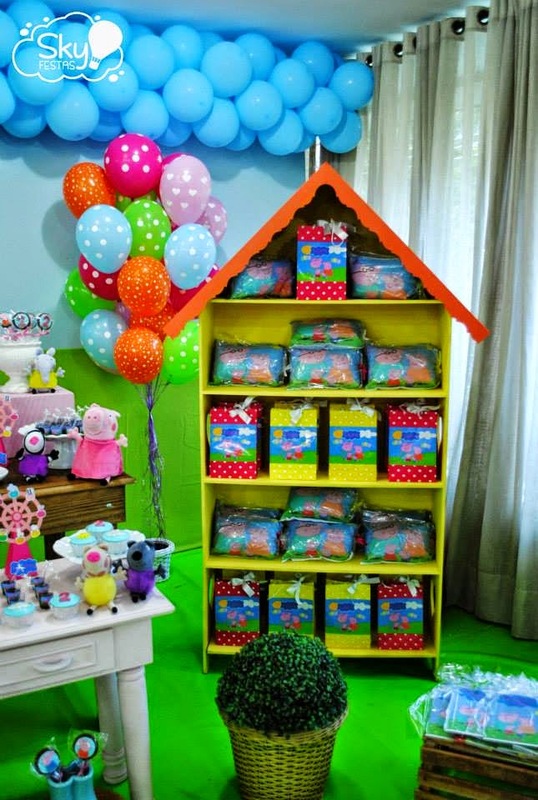 I just love the mini gumboot displays with George’s dinosaur cookies, muddy puddle chocolate mouse with gumboots and the Peppa Pig and flower cake pops. 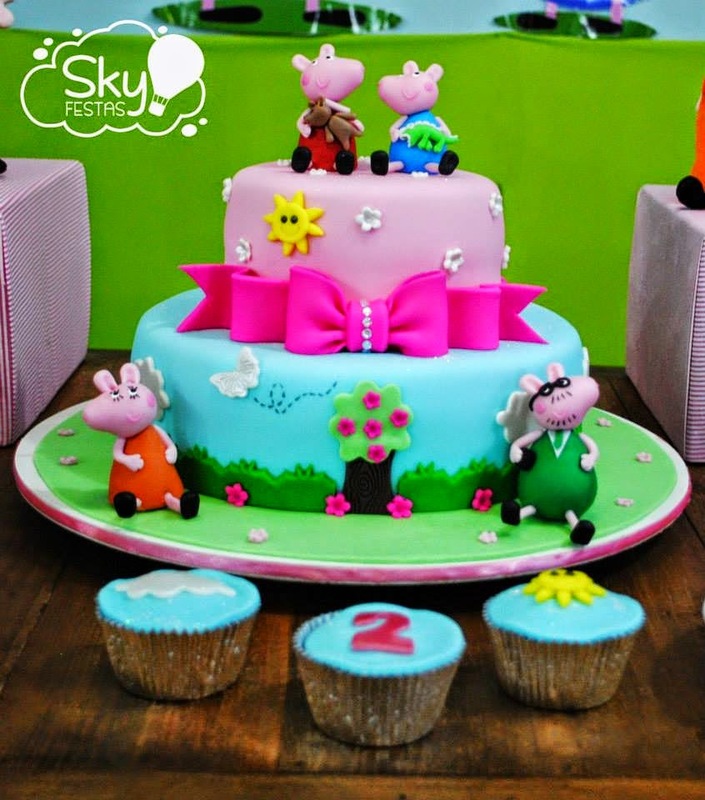 Such a cute Peppa Pig themed party cake including Peppa’s house and the entire family! 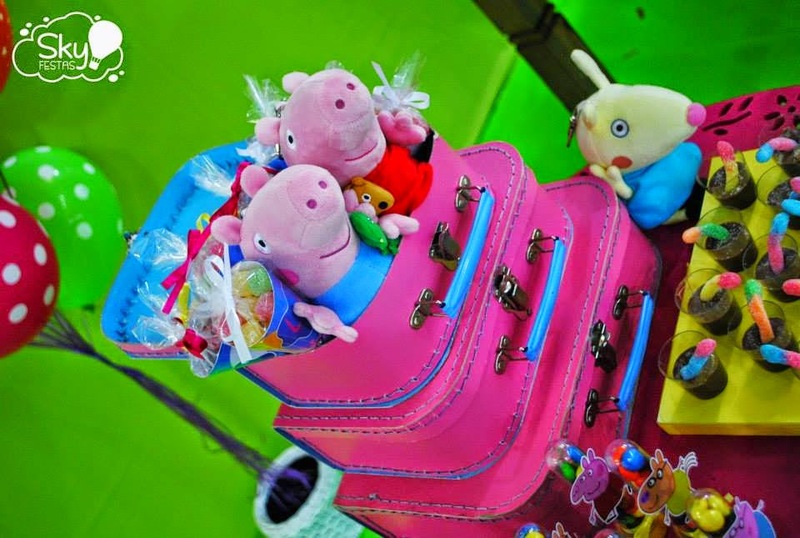 Gorgeous two tiered Peppa Pig themed cake with characters and bow. 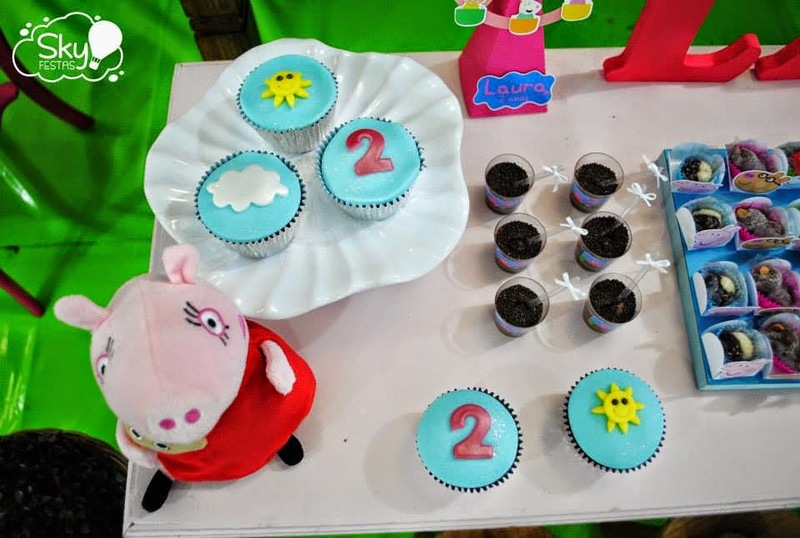 Peppa Pig themed muddy puddle desserts. 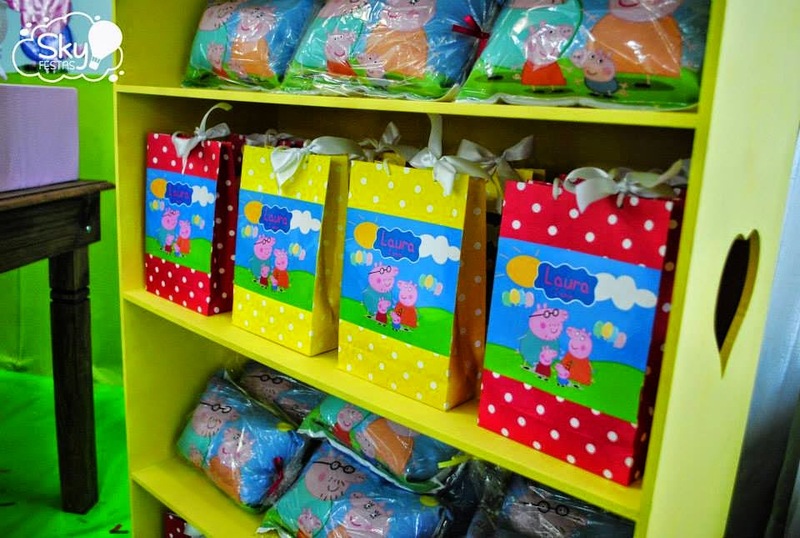 Beautiful display of Peppa Pig Party Favors for the children. in the garden make it so simply sweet!